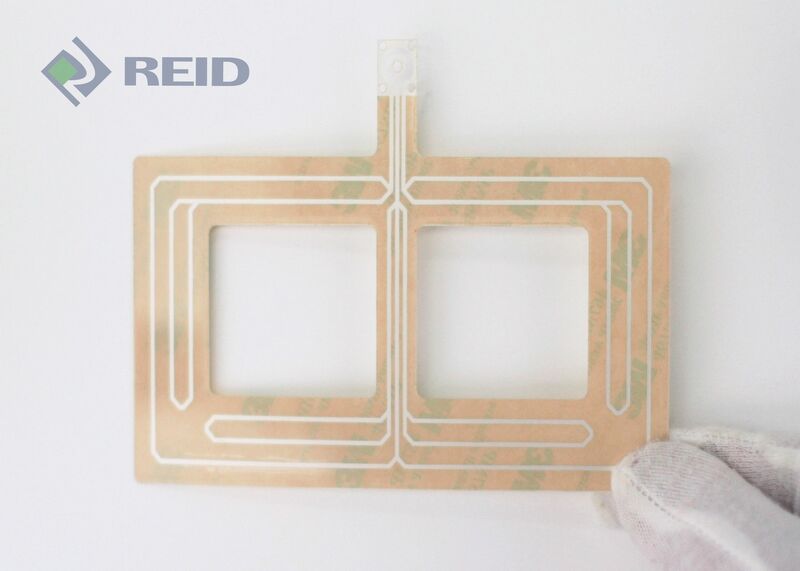 Reid Industrial is a manufacturer of highly reliable flexible printed Antennas, generally manufactured on Polyester PET substrates. Features include low electrical resistance, excellent flexibility and easily applied to any surface using 3M transfer adhesives. At Reid Industrial we firmly believe that printed antennas will be a critical aspect of achieving a wireless network system for Internet of Things applications. Printing various micro-strip Antennas with required levels of customisation, durability, conform-ability forms part of our core expertise. These kinds of Antennas posses a wide range of applications for industries like Commercial Vehicles, Defence, Aerospace and Mobile Devices based on long and short range communication. With the advent of Internet of Things, every wireless network system will need a well taught combination of relevant printed sensor and printed antennas for effective machine to machine communications. At Reid Industrial we have expertise in customised printing of different types of sensors and antennas on flexible substrates. The design and requirements of Antennas from our customers/collaborator will be effectively implemented in close co-ordination with our production team. We have effectively printed production quantities of HF to UHF antennas based on our customers designs on different types of flexible substrates, some of our printed antennas include UHF Coaxial Dipole, UHF 4.5 dbi pole antenna, Celluar GPS, Patch and long periodic dipole antennas. Our capability includes Mircostrip printed antennas of different shapes and sizes based on our customers design and specifications. Based on a customer's design, we have successfully printed "Bi-Squared , UHF , and Micro Strip Antennas ". The process of printing involved the required R&D until the desired results of obtaining a wide ranged trans-receiver system from KHz to ultra high frequency range of “400 to 600 MHz” was achieved. This type of Printed Antennas in large volumes have been used by clients as a UHF-RFID Transponders for numerous application to send and receive the information. Low resistance printed silver polymers are the most commonly used material for circuit traces and offers the most cost effective solution. Our quality controlled printing and curing process gives our customers the best possible outcome in terms of reliability and frequency output across multiple batches. Polyster film is the most common material used for flexible antennas. 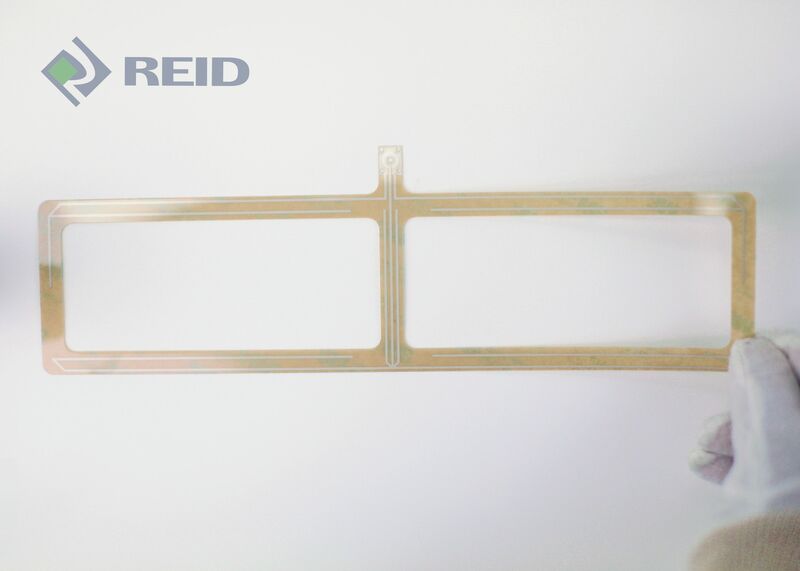 Reid Industrial exclusively uses MacDermid Autotype film as the base layer on all printed antennas. Physical Advantages for Flexible Printed Antennas. Second surface printing gives improved resistance to scratching and chemical degradation. Custom design for connector attachment to any header or leads. High conformity to bending—can be wrapped multiple times around a cylindrical object.